I and Riding; never thought it will happen in my life again post college days. I haven’t mastered but enjoyed many adventure sports like mountaineering, rock climbing, skiing, long distance cycling, paragliding and so on, but riding was never on radar because it had became a norm during my college days of acquiring a learning license and following with accidents right from Luna to Enfield and ultimately learning licenses getting torn mother who firmly believed that her son can court a girl but not a 2 wheeler. So finally it ended up with a full stop on riding. And funniest part of my professional life was, I handled Bajaj 2 wheeler’s advertising business for almost 6/7 years for Lintas and was a part of the team who handled many launches right from 100 cc bike to 175cc Eliminator. 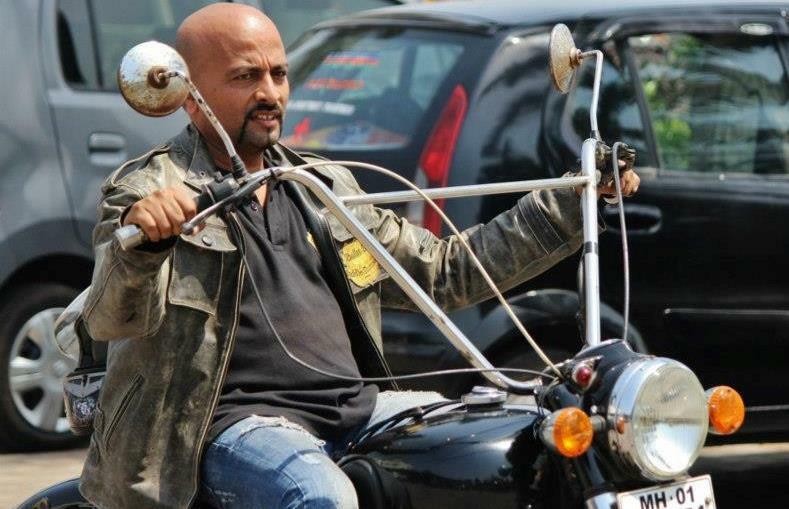 Attended many shoots, rode on the brand new bikes but sadly as a pillion. Sometimes in life, 2 things which complement each other do not go hand in hand. Leaving Lintas and Bajaj client, kinda gave me an opportunity of riding and circumstances pushed me for doing so. Joined a new advertising agency in western suburbs about 15 kms from home, forced me to explore alternate mean of transport to my work than crowded public transport. As driving wasn’t my cup of tea and already had a car in the family which was drove by wife, negated a chance of owning another car. It compelled me to buy a 2 wheeler which was easy to maneuver in Mumbai’s traffic. After mulling over available options in the market, zeroed on Avenger as my first 2 wheeler. Next came, the task of re-learning riding after a huge gap of almost 20 years, not only physically but mentally, too. Finally that too was managed in a month’s time with lots difficulties. But this didn’t deter my riding and within couple of weeks almost mastered the skill and slowly it lead to become a new passion for me. As I mentioned earlier, my inclination of towards adventurous sports which lead to a trip for a little longer distant than my day to day riding to office. But my family was reluctant of this adventure as my long distance wasn’t just long but kind of too far, Goa and that too by coastal route even though I had done this route before on a 2 wheeler but without engine i.e. cycle. Family had hell lot of doubts about my riding ability. Finally they gave up as always. With couple of friends, completed my first long distant tour without any difficulties barring few small ones like witnessing a first fatal bike accident on NH 17 when I was also on a bike and realizing I could have faced the same consequences, riding a bike on upward slope in a higher gear resulting in stopping midway and bike going backwards. Looks like I didn’t learn from my first ride to office. That long tour gave me an immense experience which also proved to be a foundation stone of my newborn passion, riding. Lately I spent my long vacations in one or the other adventure activities, say skiing, flying or Himalayan treks or expeditions, but now a new passion is entered the list, riding a bike for a long distance. Found a worthy partner in my ex-colleague and mountaineer who also started riding very late in his life, just like me. We together decided to complete one long ride covering one state each year. The first state or second considering had done Goa earlier, was riding in Rajasthan and try to cover all possible corners of the state, which proved to be a real test for me as I faced my first freak accident in my second leg of riding life (as mentioned earlier, in college life faced an accident on every possible bike). Can someone tell me how many riders are bumped by Neelgai? Hardly any, but I was. On the highway, between Bikaner and Jaisalmer this rare instance occurred. Was lucky enough to survive that accident which could have been otherwise a disaster and ultimately laid a full stop to my all outdoor activities, not only riding as the distance between my knee and Neelgai’s bang was an inch. Had it been an inch closer, doctors would have had to use magnifying glass to find my bones. Whenever I think of it, realizes one thing, whatever is one’s destiny can’t be changed by hook or crook. Sometimes it’s worse, but in my case it was good. That Neelgai accident sensitized and shook me completely in terms of my approach towards riding. Preventive measures had to be followed. Wearing proper helmet and riding gear was one of them. Next year with utmost precaution, we started planning for my third state tour. Had strong doubts about consent by family, but succeeded to acquire it without any hassle which was a sweet surprise to me. Soon realized, they had given up on me and my adventures. And they let me enjoy it without bothering me. With the new tour in sight, I decided to buy my dream machine, Royal Enfield. Right from my college days, I had a strong urge or hidden attraction towards this King of Indian roads. I being an oldie settled on another oldie. A twenty year old 350cc well maintained machine. First thing stuck to me was it’s elegance and Royalty. It also suited me very well. Initially after my acquaintance of Enfield in first few months, I rode both Enfield as well as Avenger and managed it well as though both bikes had opposite gear settings. But finally gave up on Avenger as it never came closer to Enfield on counts of riding pleasure on roads and sold it off. My first ride on Enfield proved to be a start of the new era for me as the ride was without any hassles or I would say my inexperience towards this complicated machine proved the fact – no knowledge proved to be blessing in disguise and realized half knowledge is always dangerous. The tour was fantastic, the places were superb, co-ordination between us was fabulous due to a very small group, and riding on unknown roads was pleasure. This tour re-instated my confidence in riding again after my accident in Rajasthan. Till this ride, I enjoyed riding in a small group, but next came a big turn in life. I was introduced to a club called InddieThumpers which dominated the Bullet riding scene of the country by not only sheer number of members of the club but riding experience of each member. I was completely a novice, atleast in riding in a comparison to them, even though I had spent almost my entire life in adventure/outdoor sports. This was completely a new experience in my life as I was used to riding in a very small and tight group, but here my experience enhanced by riding in a big group who follows discipline on the road which ultimately helps not only the rider but others as well. I was enthralled by their passion and unselfish nature of helping other riders. That resonated my experience of the way fellow mountaineers help others in mountaineering when in need. After first ride itself I felt like me becoming an integral part of them and vice a versa. The next tour to the land of rising sun, North-East taught me many new things. In fact, I must say my every adventure was a learning curve for me. But this long tour taught me group riding on long distances, bonding with and helping the group members and unknown people from far places. For just an indication, before this tour and 2 RMs (2010 and 2011), I just had couple of hundred people in my FB friend’s list and later the number swelled to 4 figures. It is a representation of the fact of how riders especially Enfield riders gel and bond more than ones family. After riding year on year and longer as well as shorter rides, the ambitions grew manifold and decided to invest in a new bike but somehow, the new breed of the machines from the same stable didn’t appeal as the old ones. The search was on and then arrives ‘Brisingr’(means fire in an ancient language) in my life and bought fire on the roads. A 2009 – Machismo 500 AVL engine which proved to be a work horse on the Gujarat roads which was my longest ride in terms of distance of about 4000kms. What a fantastic ride it was. We explored each and every possible corner of the state and did a complete Gujarat circuit barring very few places. Understanding between three musketeers was fantastic including the new one, Vivek. At the end of the ride, we made plans for the new ride for next year. Now it had become a life style for me of finishing one big ride and starting to plan for a next ride. There are so many places explored (I won’t say conquer as none can conquer them but just explore them as we are not warriors but explorers and wanderers), but still far more places to explore on earth. My ultimate wish would be to see my country wholly, learn and grasp it’s immensity in detail and then move to explore the world. The thrust of exploring new places is still on and for doing so the first and foremost will be riding and then hitchhiking. Even if someone offers me a biggest machine on the earth, be a 4 wheel drive like Hummer or 2 wheel ride like HD or Triumphs of the world, Royal Enfield will always occupy major part of my heart in the same way when we say… Once a Thumper will always remain a Thumper.